The passage of the federal Sarbanes-Oxley Act more than a decade ago instituted several strict accounting requirements for public companies, one of which directly affects investment recovery managers today. The law stated that companies must report costs associated with future facility retirements in current financial statements. In other words, companies must estimate and recognize costs that they will incur in the future when they retire fixed assets. Environmental liabilities—e.g., hazardous-waste disposal and asbestos-abatement requirements—were featured as prime examples to which the new interpretation applied. Someone (perhaps you) must determine the likely future disposition costs of a major asset, along with potential income derived from the retirement of that asset. You don’t have to be an accountant, but IR has a critical communication role to play throughout the organization. Not a fan of spreadsheets? Don’t like dealing with the folks in accounting? Better get over it and realize that how you handle issues such as these can have a major impact on your department and—perhaps more particularly—your career. “It’s a constant communication loop that we have to stay in, regardless of the size of the project. We have to make sure [accounting is] informed,” says Sean Byro, CMIR, asset disposition analyst investment recovery services, APS electric utility, based in Phoenix. Granted, you’re probably not a CPA (after all, you’re not in this business to be a “bean counter”! ), but this is a pretty important issue for CFOs and accounting departments. To help ensure a smooth process and clear, accurate documentation, it’s important for investment recovery managers to work closely with their company’s asset-accounting department. Your knowledge in this area can also help provide some positive visibility for yourself and your IR department. In the past, companies were not required to report environmental liabilities, such as contaminated property, in their public financial statements except in cases where a pending or threatening legal action involved the environmental liability. In 2001, the Financial Accounting Standards Board (FASB) issued a Statement of Financial Accounting Standards No.143, (FAS 143) Accounting for Asset Retirement Obligations (AROs) to change this requirement. FAS 143 requires the recognition of the fair value of asset retirement obligations (ARO) liability in the period in which it is incurred, if a reasonable estimate of fair value can be determined. AROs are legal obligations associated with the retirement of tangible long-lived assets. The ruling from the FASB established the guidelines for how a company must value and report recently retired assets (just before or just after the event, when costs and liabilities are essentially certain). Because of this requirement, it is in the best interest of corporations to recover the value of the surplus equipment as soon as possible. In doing so, the value of the asset will be optimized, and an offset to the liability for facility retirement and cleanup that has already been booked can be realized. After FAS 143 was issued, however, many accounting firms decided that the standard did not apply to conditional AROs, which is how most environmental cleanups are classified. Mondaq (a business reporting organization) reports that these AROs are conditional on future events such as the timing and method of settlement of the obligation usually, but not always, within the control of the company. For example, it might be within the control of a company to delay the investigation of a property suspected of soil or groundwater contamination. FIN 47. Then in December 2005 came FASB’s “FIN 47” (Financial Interpretation No. 47), “Accounting for Conditional Asset Retirement Obligations— per http://www.fasb.org/summary/finsum47.shtml. An Interpretation of FASB Statement No. 143.” This interpretation established that companies must book future retirement liabilities now, according to certain standards, and keep the books updated through event actuality. The FASB Summary of Interpretation No. 47 reads, “The obligation to perform the asset retirement activity is unconditional, even though uncertainty exists about the timing and (or) method of settlement. Thus, the timing and (or) method of settlement may be conditional on a future event.” As for a reasonable estimate of fair value, a company has sufficient information to estimate dates, methods, and costs of disposing of the property, in order to conform to environmental standards, according to the FASB Summary of Interpretation No. 47. A company is required to recognize these liabilities ARO on the dates of purchase of the conditional ARO. A university builds a facility that it expects will conduct nuclear research over its estimated useful life of 20 years. At the end of the 20 years when the research facility will be retired, the university will need to take certain measures to fulfill certain state and federal environmental protection laws as to the disposal of nuclear materials, as well as nuclear- contaminated materials, that will exist at the facility at the date of its retirement. 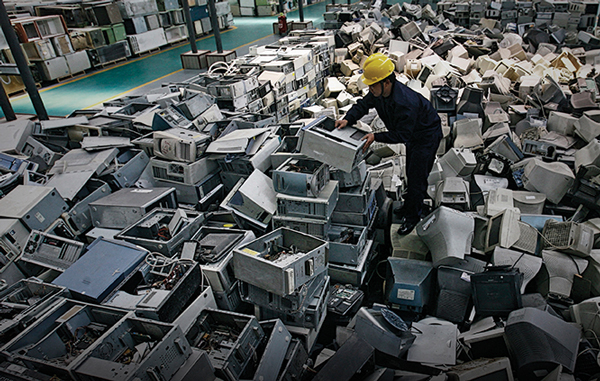 There is a legal obligation to pay for these disposal costs when the facility is retired. 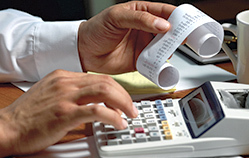 Generally Accepted Accounting Principles (GAAP) requires that an organization (its scope includes not-for-profit organizations) recognize the fair value of a liability for an asset retirement obligation in the period in which it is incurred if a reasonable estimate of the fair value can be made. If a reasonable estimate of the fair value cannot be made in the period that the asset retirement obligation is incurred, the liability should be recognized when a reasonable estimate of the fair value can be made. When the FASB issued FIN 47, it clarified that the presence of some uncertainty about the timing of an asset-retirement is not an exemption from having to apply FAS 143. An entity is required to recognize the fair value of a legal obligation to perform asset retirement activities when the obligation is incurred—generally upon acquisition, construction, or development and (or) through the normal operation of the asset. An asset retirement obligation would be reasonably estimable if (a) it is evident that the fair value of the obligation is embodied in the acquisition price of the asset, (b) an active market exists for the transfer of the obligation, or (c) sufficient information exists to apply an expected present value technique. An expected present value technique incorporates uncertainty about the timing and method of settlement into the fair-value measurement. However, in some cases, sufficient information about the timing and (or) method of settlement may not be available to reasonably estimate fair value. Given the nature of the questions that must be answered in assessing a company’s obligations under FAS 143/FIN 47, such an assessment requires a multidisciplinary approach. • Company operations and environmental personnel must develop an inventory of owned and leased tangible assets, along with their associated environmental conditions (e.g., underground storage tanks). • Legal counsel must then determine whether there are legal obligations associated with the retirement of those assets, taking into consideration both regulatory and contractual obligations, and evaluate whether those obligations arise from “normal” company operations. • Technical environmental experts (internal and/or external) must estimate the costs associated with the obligation. In doing so, they may look to the company’s past experience or to industry practice. regulatory requirements, service costs, etc.). • Finally, accountants must calculate the present fair value of the obligations, incorporating into that calculation any probability analysis associated with the variables identified during the cost-estimation process. “A lot of times, the scrap value will be credited back to the project to help augment the costs of the project itself. But from an ARO standpoint, that’s one of the things where we have an obligation to not only report the ‘what,’ but the ‘how.’ We sign off on certain things in our group that if there are any changes to the way we are doing business, we have to let them know if there have been any significant changes in the way things are happening. TIP: Byro suggests making sure this communication is written into IR procedure. He says that doesn’t always happen. “A significant asset is coming out? Let your asset accounting department know! From an investment recovery standpoint, it’s a good faith obligation—it may not be written in a procedure anywhere—to be in that constant communication mode, even if [there are] redundancies, where they would know before we did. I think it’s just good business practice to make sure all of this is happening the way it should.